Showing recent results 646 - 660 of 675 products found. The high-bandwidth PCI and PCI Express data buses of PXI enable instruments to stream live signals to and from hard drives at up to 3.2 GB/s. NI RF record and playback systems combine PXI RF signal analyzers and RF signal generators with RAID arrays for high-speed, long-duration recording and playback. 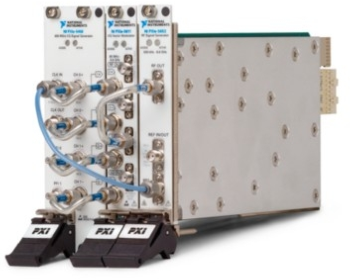 With the ability to generate or acquire terabytes of continuous data, PXI instruments can help you test receivers using real-world signals that are captured with an antenna. As a result, you can observe how receivers are able to adapt to common impairments in their deployment environments. 6.6 GHz PXI RF Analog Signal Generator—The PXI‑5652 features continuous-wave generation capabilities with FM, 2‑FSK, or OOK modulation. 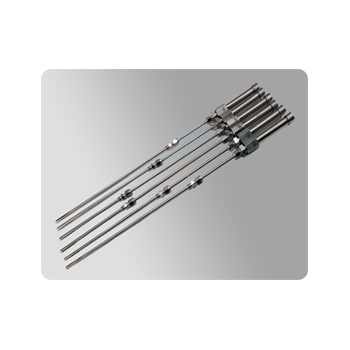 It uses direct digital synthesis (DDS) for high-resolution frequency hopping or phase-continuous sweeping for fixture and device characterization applications. The PXI‑5652 is ideal for clocking nonstandard sample rates, such as WCDMA signals at baseband or intermediate frequency (IF). With these versatile signal generators, you can perform analog and digital modulation through the onboard DDS circuit, which gives you frequency modulation and frequency-shift keying for applications such as bit error rate test, antenna testing, or even keyless entry. You can also perform amplitude modulation using on-off keying. 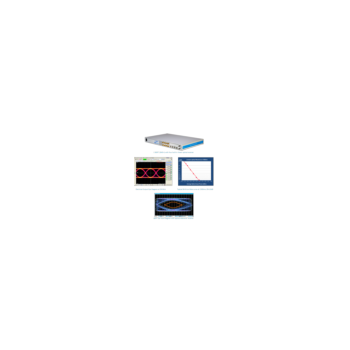 PXIe, 6.6 GHz, PXI RF Analog Signal Generator—The PXIe‑5652 features continuous-wave generation capabilities with FM, 2‑FSK, or OOK modulation. It uses direct digital synthesis (DDS) for high-resolution frequency hopping or phase-continuous sweeping for fixture and device characterization applications. The PXIe‑5652 is ideal for clocking nonstandard sample rates, such as WCDMA signals at baseband or intermediate frequency (IF). With these versatile signal generators, you can perform analog and digital modulation through the onboard DDS circuit, which gives you frequency modulation and frequency-shift keying for applications such as bit error rate test, antenna testing, or even keyless entry. You can also perform amplitude modulation using on-off keying. 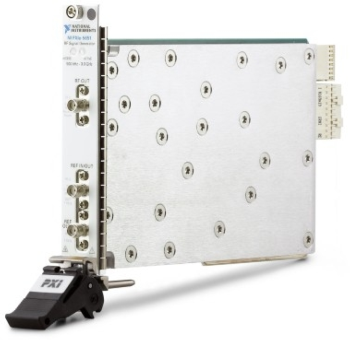 1.3 GHz PXI RF Analog Signal Generator—The PXI‑5650 features continuous-wave generation capabilities with FM, 2‑FSK, or OOK modulation. It uses direct digital synthesis (DDS) for high-resolution frequency hopping or phase-continuous sweeping for fixture and device characterization applications. The PXI‑5650 is ideal for clocking nonstandard sample rates, such as WCDMA signals at baseband or intermediate frequency (IF). With these versatile signal generators, you can perform analog and digital modulation through the onboard DDS circuit, which gives you frequency modulation and frequency-shift keying for applications such as bit error rate test, antenna testing, or even keyless entry. You can also perform amplitude modulation using on-off keying.